Talk about being able to dish it out but not being able to take it! Fake news outlet CNN, which trashes President Donald Trump on a daily, if not hourly basis, has refused to air a TV commercial the Trump folks put together celebrating his first 100 days in office. CNN has its knickers in a knot over a graphic displayed in the spot which refers to the mainstream media as “fake news.” Sounds like a certain thin-skinned TV network needs to get itself a widdle therapy puppy. Meanwhile, Republicans in Congress – the biggest danger to the Trump presidency – continue to swing and miss at every major legislative pitch thrown their way despite the fact they have the majority in both the House and the Senate. House Republicans, who have been working on ObamaCare repeal for seven years now, STILL can’t cobble together a bill that will satisfy enough moderates and conservatives to get the 218 votes needed for passage. And by the way, the moderates are wrong. You can’t charge people with pre-existing conditions the same rate as healthy people in a free market. That’s just stupid. It’s like charging smokers and non-smokers the same rate. Or charging a driver who hasn’t even gotten a parking ticket the same rate as a guy with three DUIs. Derp. Those same House Republicans – despite wonky Speaker Paul Ryan’s vaunted “A Better Way” agenda he’s developed over a period of years – can’t seem to pass a budget and are once again punting the ball with a temporary “omnibus” bill to fund the government – including funds for Planned Parenthood and sanctuary cities – through the fall. There was a scene in the award-winning WWII movie in which an officer wasn’t getting the job done. So Gen. George “Blood & Guts” Patton fired him on the spot and gave the company’s executive officer an immediate field promotion. Of course, the president can’t literally “fire” Ryan. But there are ways to get him ousted. Just ask John Boehner. P.S. Hillary Clinton did an interview on fake news CNN Tuesday and declared that if not for the Russians, the FBI and women-hating men – oh, and if the election had been held on October 27 instead of November 8 – she’d be president. Which is kinda like the old saying that “If we had some ham, we could have ham and eggs, if we had any eggs.” What a crybaby. Shut up already and go get yourself a therapy puppy. 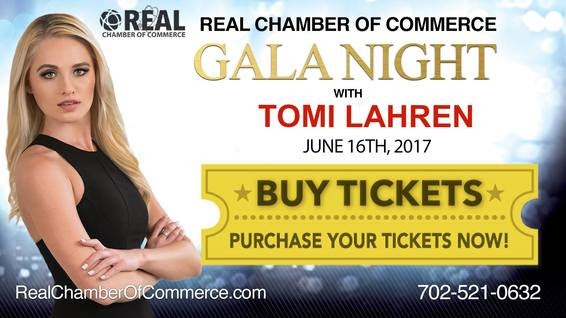 “Major Republican lawmakers and donors are scheduled to host a fundraiser for Nevada Attorney General (and likely 2018 gubernatorial candidate) Adam Laxalt on May 17, according to an invitation for the event obtained by Score. “Co-chairs listed for the event are: Robbie Aiken, Brian Baker, former Sen. Norm Coleman, Ann Corkery, former Rep. Chris Cox, former Assistant Attorney General Viet Dinh, Lee Carosi Dunn, former RNC chair Frank Fahrenkopf, Boyden Gray, former Rep. Joe Heck, Leonard Leo, Jim Nicholson, Todd Ricketts, former Homeland Security Secretary Tom Ridge, and Charlie Spies. * GOP jockeying for Nevada’s 3rd Congressional District seat, currently (mis)represented by Democrat Rep. Jacky Rosen-Reid, is already underway. Conservative Danny Tarkanian, who came within a whisker of winning the seat last November, is said to be eying another run. Also rumored to be taking a look at the race is term-limited Las Vegas City Councilman Stavros Anthony. And slimy former Clark County GOP Chairman Dave “For Himself” McKeon is also telling people he plans to enter the field, along with, once again, gadfly candidate Annette Teijeiro. Say “NO” on SB 250. This is a special interest bill in the interest of only ONE PERSON, North Las Vegas Constable Bob Eliason, who refuses to comply with a state law that requires urban constables to undergo training and become a certified peace officer within 18 months of their election. Eliason has now been in office for over two years. SB 250 would rescind the common-sense training and certification requirements for the only guy in office who has failed to do so.